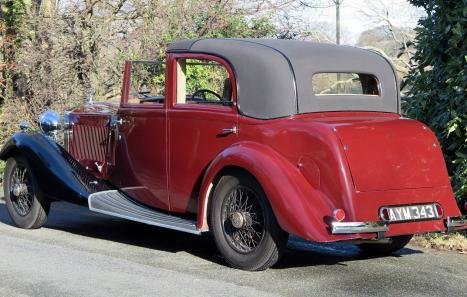 A handsome car from a very well respected coachbuilder, in good condition and incorporating features such as louvred bonnet & scuttle, quarter bumpers to the rear and ‘trouser crease’ wings. 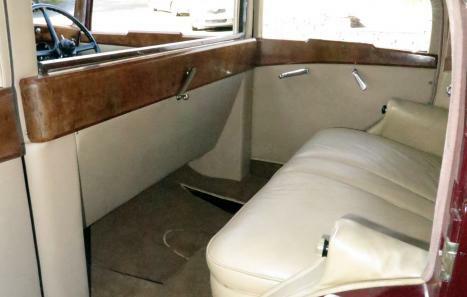 Structurally sound, good cosmetically, with very respectable Maroon paintwork, black fabric covered roof, good quality cream leather front & rear, excellent headlining, etc. Mechanically in good order, running well, driving nicely and fitted with a stainless steel exhaust system. 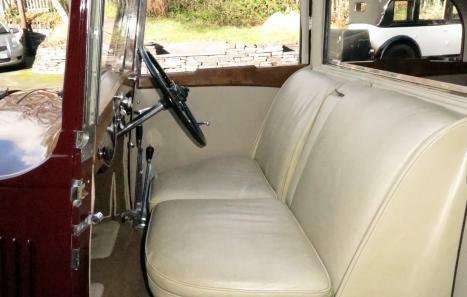 Offered serviced, prepared and newly MoT tested. GLB3 was ordered by Brendan Bracken (1901/1958) – he was born in Co Tipperary & in 1915 he went to Australia where he worked as a “Jackaroo” for the Ryan family in Euchuca, apparently he was not a good jackeroo as he spent more time reading books then minding the sheep!! By the 1920s he returned to the UK where in a short period of time he became a director of Eyre & Spottiswoode, publishing The Banker, The Financial News and The Economist; by 1923 Bracken had met & become Winston Churchill’s campaign manager! In 1929 Bracken was elected as MP for North Paddington and had moved from a rented house at Nr 11 Lord North Street to his own property at No 8 Lord North Street, located within the “division-bell area” of the Houses of Parliament. It is said that Brendan was a man of such self importance that he had an outsize door-knocker to his front door and instructed his servants to interrupt dinners parties with “The Prime Minster would like to speak to you, Sir”! On the wall of No 8 Lord North Street there is a sign which reads “Public Shelters in Vaults under Pavements in This Street” alluding to WWII times. 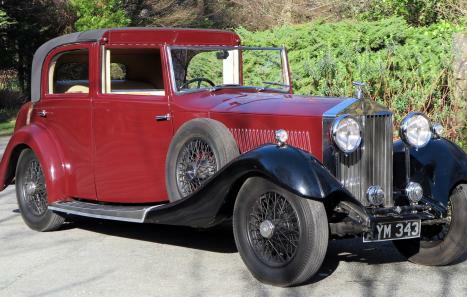 Within 8 months Bracken (by now Churchill’s Private Secretary) had sold GLB3 & purchased a Derby-Bentley B25DK, a Gurney Nutting Sedanca de Ville; from 1935 to 1944 GLB3 was with Ronald Gramshaw Chittenden (1890/1982) of Maidstone. Ronald’s father Edmund had initially trained as an engineer with Robert Stephenson & Co prior to becoming articled with Aveling & Porter, Rochester of which he became a director; by 1875 Edmund joined the family firm of Chittenden, Knight & Co, specialists in steam ploughing & threshing machines. The firm merged with Percy Simmons adding steam-rolling, quarries & road-contracting to their portfolio & by 1906 Chittenden & Simmons had large contracts for road-surfacing with Kent & London councils. Later owners of GLB3 included Clarence Arnold Fell of Fanshaw House, Dronefield who was also an engineer with several patents to his name including Fire-bridges for Boilers (1909), Shovels for Stokers Use (1912), Cage/Crate for Transporting Livestock (1928) and Building Blocks – method of construction (1945). By 1947 Clarence Fell had amassed enough wealth enabling him to purchase Yeldersely Hall near Ashbourne from the estate of Henry Fitz-Herbert-Wright who is the maternal great-grandfather of Sarah, the Duchess of York.